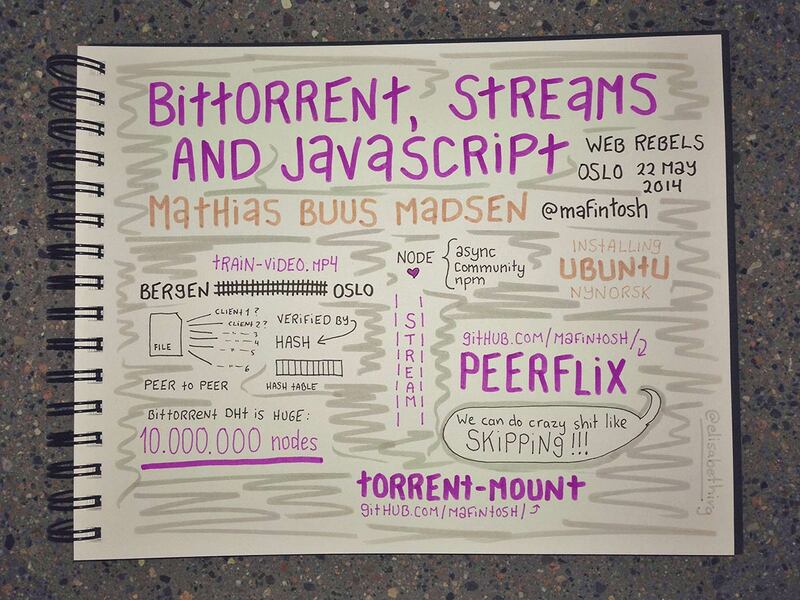 One of my favourite new clients of the year has been Web Rebels, a developer conference in Oslo. After working with the design, it was fun to attend the conference myself. I imagined upfront the talks would mostly be way over my head, but I understood a lot more than I thought I would – and learnt a whole lot. 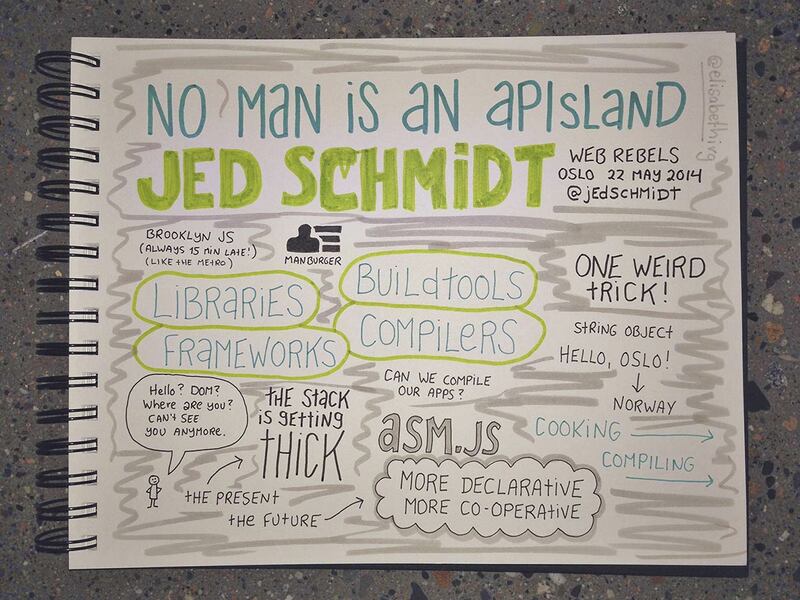 Jed Schmidt with the first talk of the conference: “No Man is an APIsland” about libraries and frameworks. 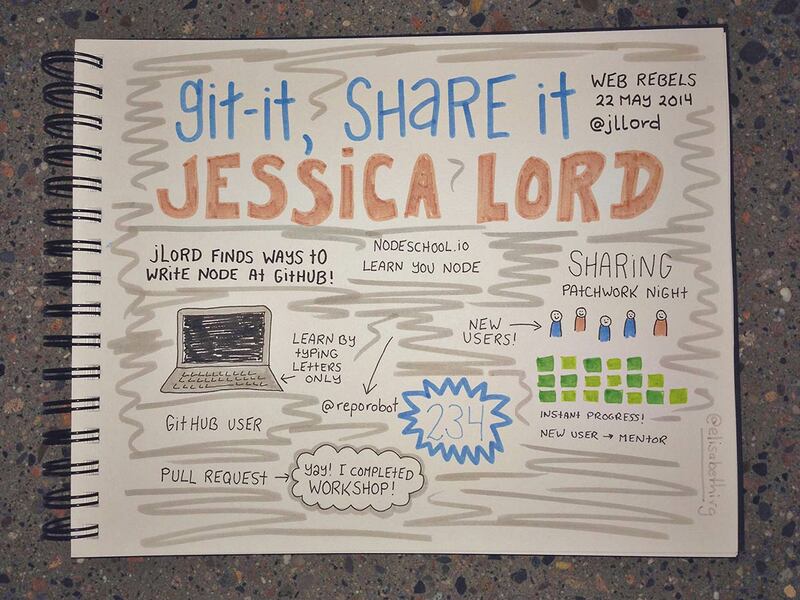 Jessica Lord made Git-it for teaching Git and GitHub. Yay, this is what I’m doing this summer! 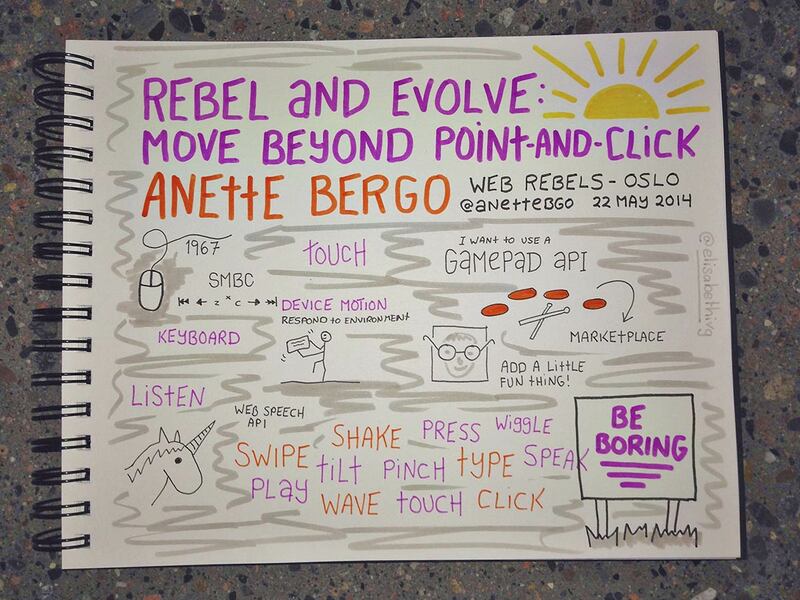 Anette Bergo got web rebels all ready to rebel and evolve: moving beyond point-and-click. 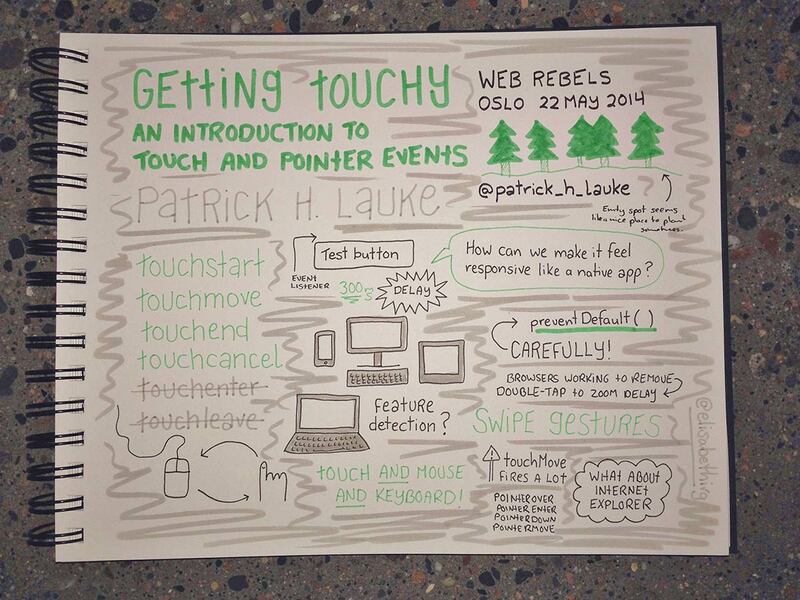 Patrick H. Lauke talked about touch and pointer events. 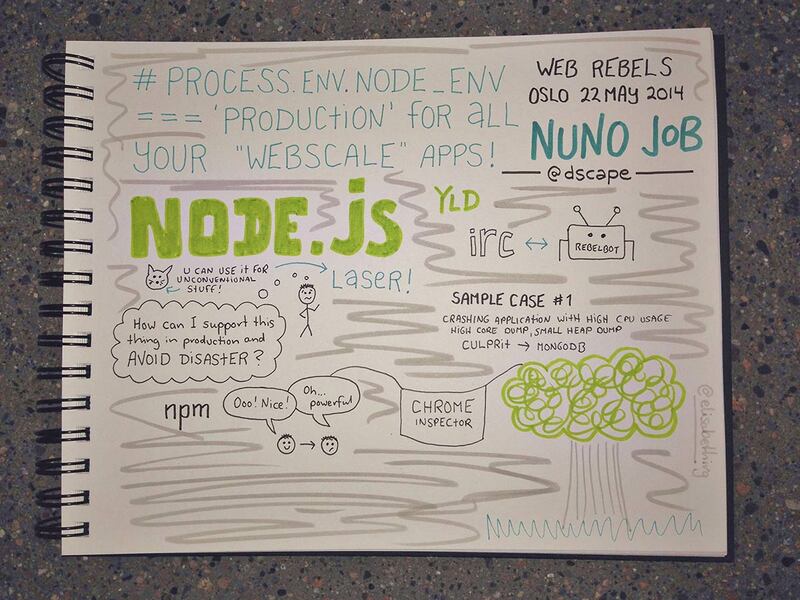 Nuno Job about node performance. I should have drawn a much bigger cat. Ended up drawing a tree instead. 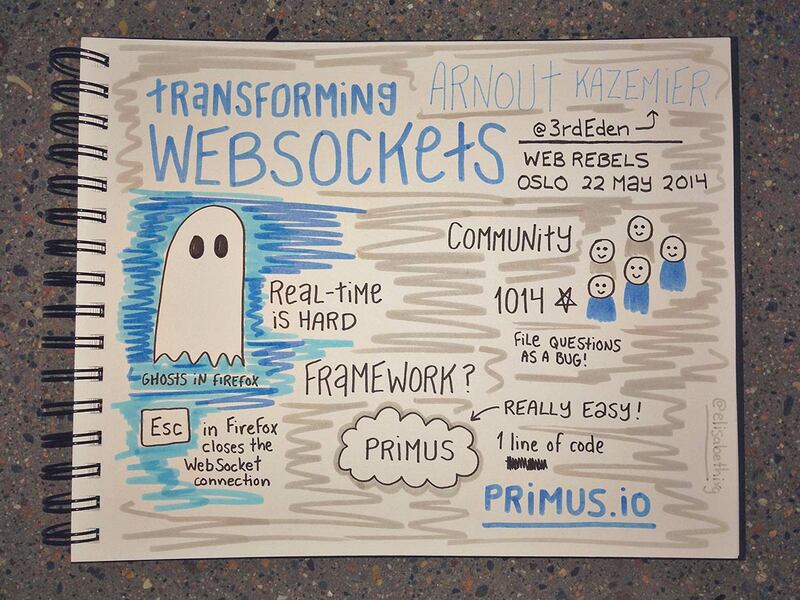 Arnout Kazemier and Transforming WebSockets. More talks should have ghosts in them. Ghosts are easy to draw. 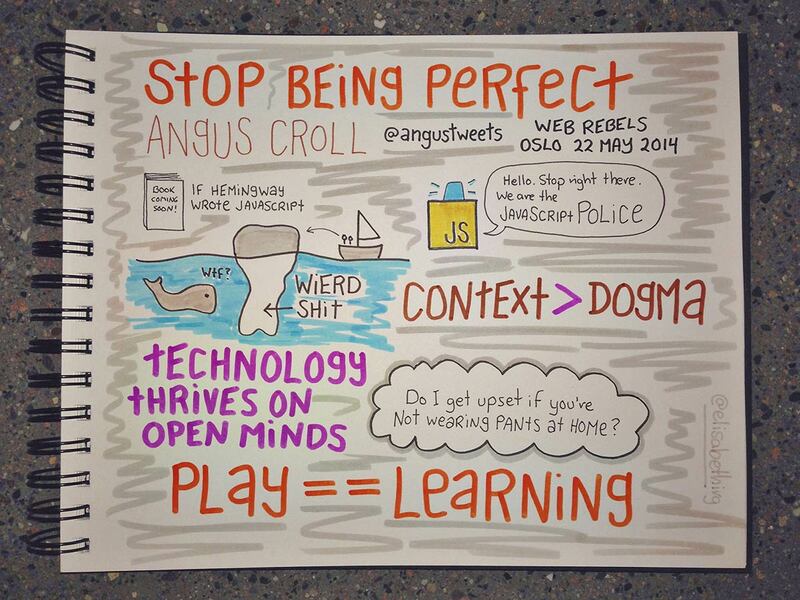 Angus Croll with “Stop Being Perfect!” Oooh, look. 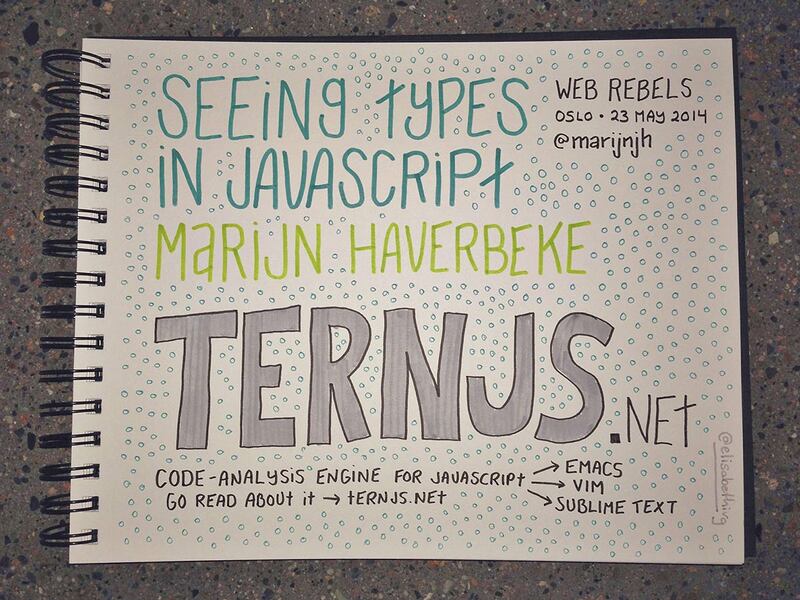 I have a spelling mistake in my sketchnotes. Ha ha! 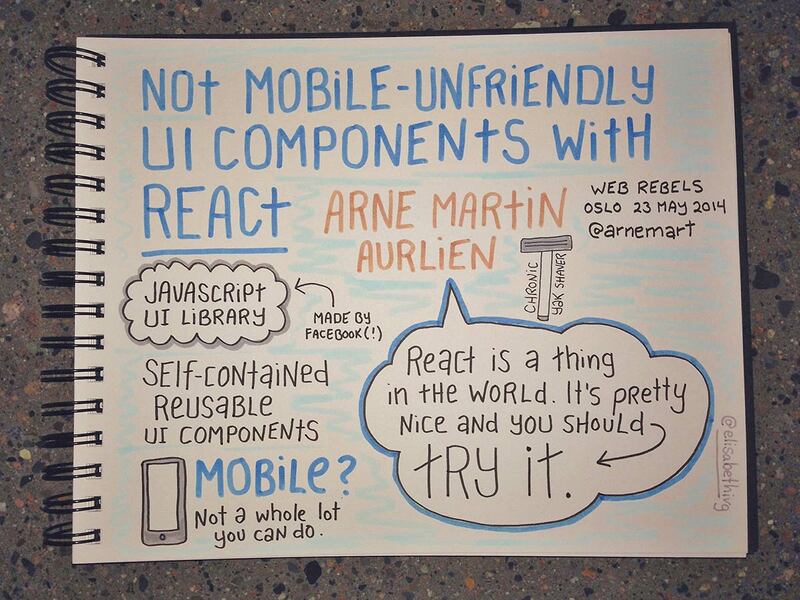 Arne Martin Aurlien about UI components with React and not being too mobile-unfriendly. 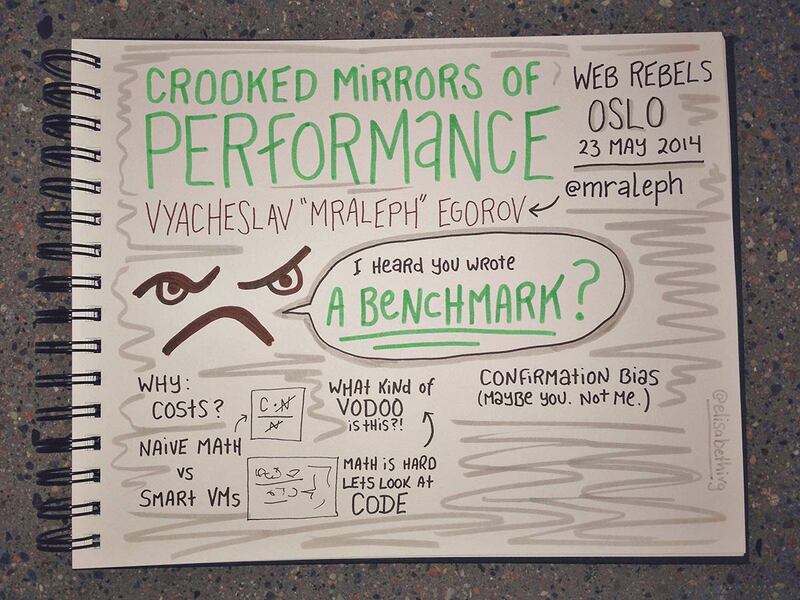 Vyacheslav “Mraleph” Egorov makes performance so much fun!! 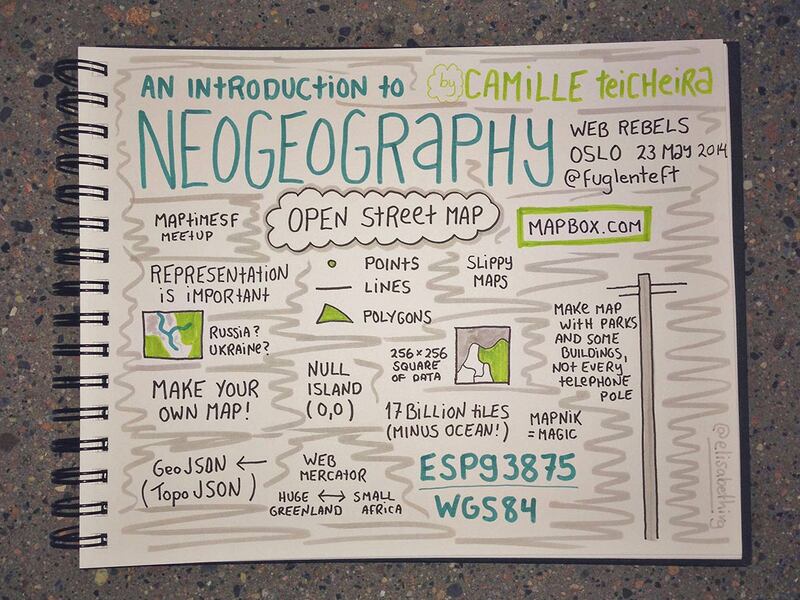 Camille Teicheira was very inspiring with her talk on neogeography. I really want to get into making maps now! 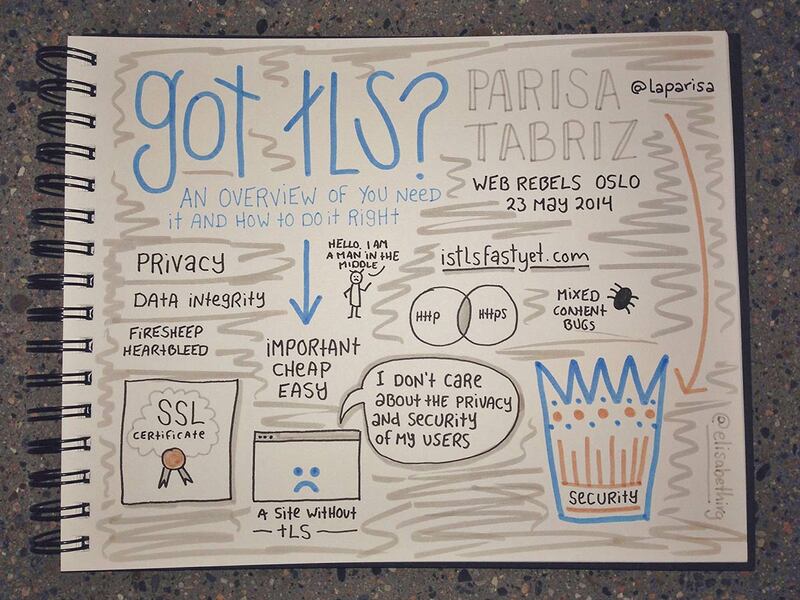 Parisa Tabriz gave us a great overview of why we need TLS and how to do it right. Important stuff! 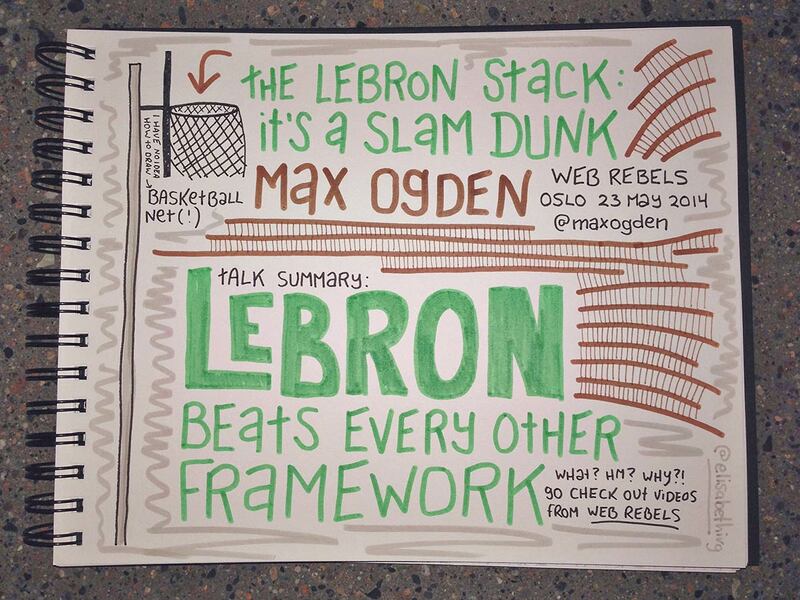 Max Ogden about the framework LEBRON. Last talk at Web Rebels and by this time, my brain was completely fried. 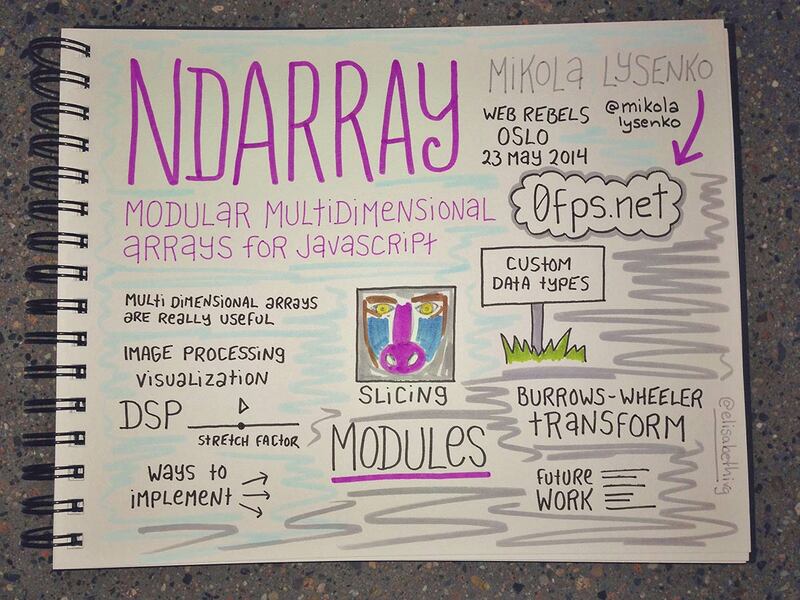 I wasn’t sure how it would work to take notes at this conference, with talks I didn’t fully understand. 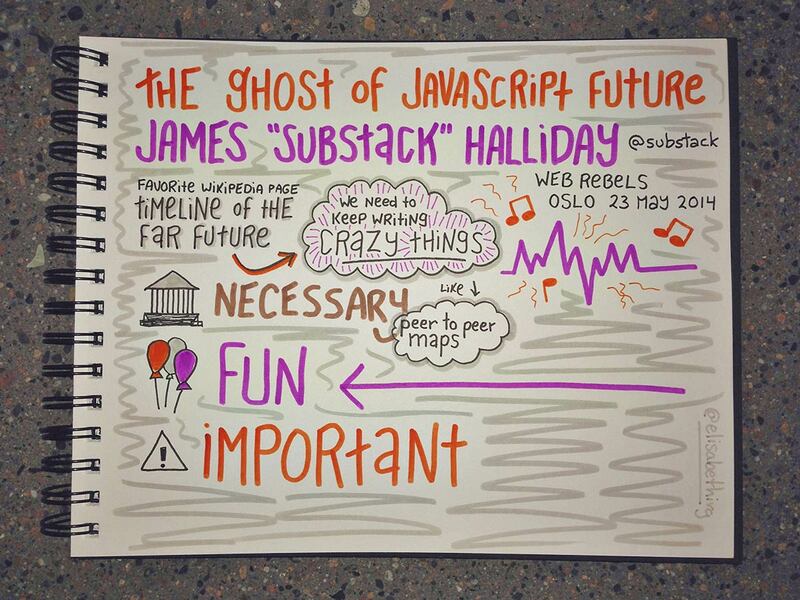 But even though I wouldn’t be able to recap as much of the talks myself – I still managed to capture soundbites, keywords and add the odd doodle.